Emerald Creek Dares: Sara is 'Hopping on Over"
Sara is 'Hopping on Over"
and we have an amazing treat from Sara Emily. I met Sara (via the blog) last October when she posted some amazing , and disturbing pieces. Her Halloween Head lawn ornament in Decay and Spiders! BEWARE! post was sure to win, purely on the fact that it was so creepy and she made it from her every day craft supplies. Hello! I'm Sara Emily Barker also known as sarascloset in blogland. I live in the US with my husband and teenage boy/girl twins and two kitties. I have been keeping my hands busy with arts and crafts as long as I can remember, and I started blogging in 2014. 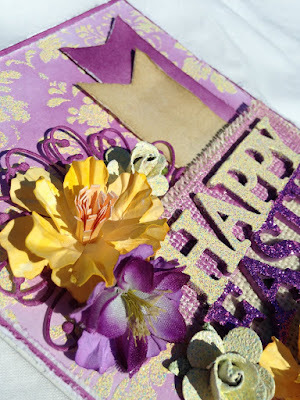 I love to try new things, and will give any craft and any style a whirl. I'm super excited to be here at Emerald Creek Dares as Guest Designer. 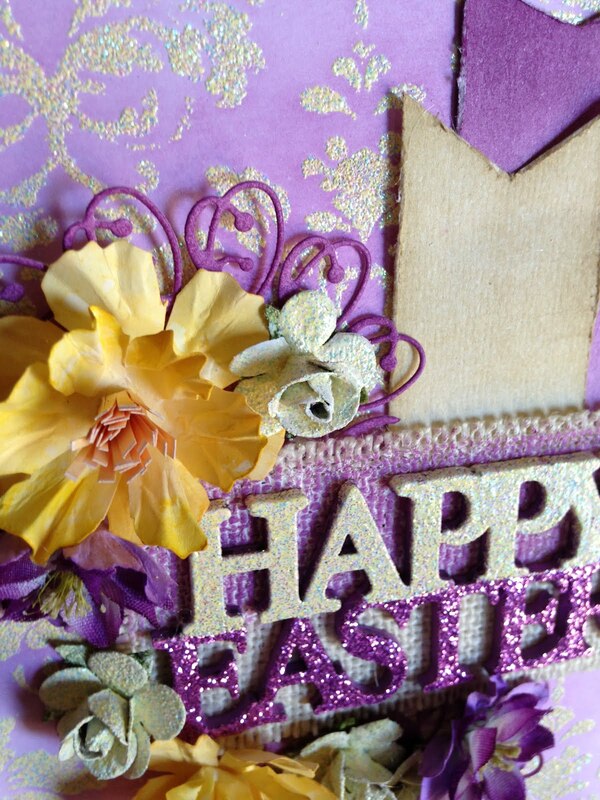 I made an Easter card using Emerald Creek's gorgeous Easter Parade embossing powder on my background, chip board sentiment, and to personalize my store bought flowers. I hope you'll visit my blog to see more closeup photos and details on how I used this shimmery embossing powder on my card. Thank you so much Sara, for this wonderful post! Wow, Kim! What a fabulous intro, and I'm deeply touched! Thank you sooo much for having me here as Guest Designer. It is such a pleasure and a true honor! Hugs! Not much more to say then I simply luv you. You are so inspiring and I am going to love this friendship. Hugs back. Kim, wise move having Sara Emily design for you. She blows me away with her creativity and this piece is no exception. What a gorgeous project featuring your fabulous embossing powders. Beautiful!!! Thank you. I simply love how blog land and social media has been able to make the world smaller and to create friendships that may never have happened. Sara truly is amazing. How can you not love Sara! WOOHOO... great inspiration! Beautiful inspiration Sara Emily! 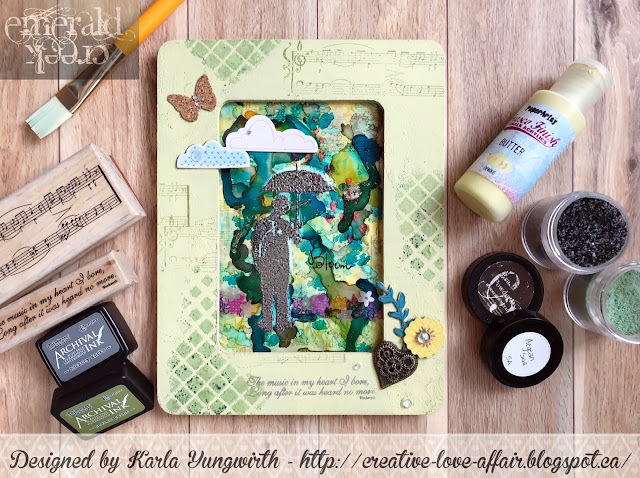 Love the colours you used and all of the textures! Side note: I have finally been able to become a follower. Whew! It just wouldn't let me any other time I've tried. Wow! Sara Emily ~ this is beautiful! An amazing GD post from a fabulous artist! This is such a beautiful card!! Thanks for being the Guest Designer and sharing Kim's awesome embossing powder with your followers!! so excited to have you here...so admire your creativity Sara Emily!! Wow! Thank you for your wonderful comments! I'm blushing! It was such a pleasure to be invited as Guest Designer, and Kim is a lovely lady who made me feel so at home! Big hugs!